The ancient texts (Matsya Purana) have depicted variations in how Vastu Purush actually manifested on Earth in various cycles of creation. At one time, the Creator Brahma was inspired by the Supreme Lord Visnu to create a multitude of subtle and gross bodies for all types of beings. As he attempted to create the ‘aura’ a formless, chaotic and unrestrained cosmic male appeared, who was later given the name Vastu Purush. During another cycle, Vastu Purush was instead created by the sweat of Lord Siva whilst he was in battle with evil forces. 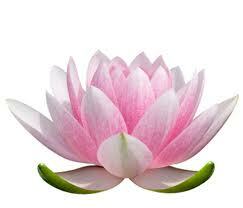 Vastu Purush meditated upon Lord Shiva so devoutly that Shiva was compelled to grant Vastu Purush a boon. However, when Vastu Purush asked that Lord Shiva would make him so powerful that he could devour the 3 planetary systems, since he was very hungry, Vastu Purush’s intentions caused the celestial beings and devatas (universal rulers) to became very fearful and perturbed. With blessings from Lord Visnu, Lord Brahma helped them devise a plan to arrest him before he could undertake such a catastrophic task. In both these incidences Vastu Purush was thrown to Earth and the Avatars of the Lord, devatas and sages sat on him and pinned him face down. The Vastu Purush now begged for his freedom, since he was uncomfortable and still hungry. However the Divine association of the Avatars, and Lord Brahma’s presence in the middle of his body, along with the many exalted demigods and sages completely surrounding him, caused a positive transformation within his body. He became completely cleansed of all negative influences and great devotee of the Lord. Having realised his true position as a servant of Lord Visnu, he surrendered himself unto Lord Brahma and asked “How can I be of service ?”. Lord Brahma, being pleased by his surrender, offered blessings to him in the form of service to mankind. Lord Brahma decreed that these blessings would come into fruition when he would stay here on Earth and embody the ‘spirit’ of any given space. Vastu Purush was ordered to take responsibility of well-being by maintaining the energy balance within all constructions and buildings. This means disturbances to the bio-energetic field of any given space also disturbs the bio-energetic field of the Vastu Purush, and thereby the inhabitants of such a structure. We will discuss the implications of this in a later post. Vastu Purush’s anatomy corresponds to that of human anatomy, in the shape of a human body, in this way the space within any property is treated as a living being with consciousness and life energy. 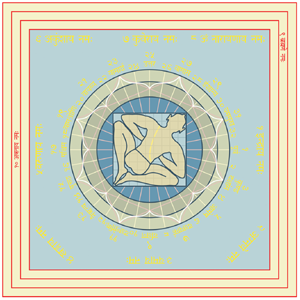 The Vastu Purush becomes a symbol of life space as he lies with his head to the North East and feet towards the South West. 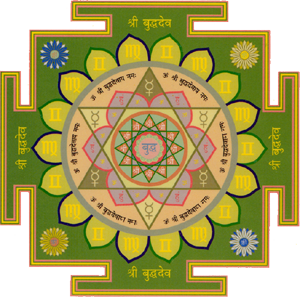 Prior to commencement of any construction work taking place, and again before Graha Pravesh (the housewarming ceremony), the Vastu Purush would receive offerings and worship from the inhabitants as a reward for his services. He would be evoked and honoured for his contribution to maintaining positive energies within that building. Even today, in India this ceremony for worshipping Vastu Purush before construction is still prevalent. Later, a disciple of Lord Brahma named Maya Danava founded the science of Vastuvidya which is still prominent throughout India today. Vishwakarma, architect to the devatas, declared that because of the Vastu Shastra (scripture) the entire universe enjoys good health, happiness and prosperity. Since that period of time our ancestors have built constructions in accordance to the position of Vastu Purush Mandala and nature’s energy flow.